Magnetic therapy has been in existence for over 3,000 years. It was first used by the Greeks and Egyptians who noticed they felt better when laying down on magnetized rocks after strenuous exercise or work. 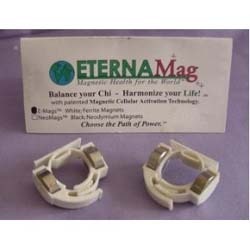 Claims are magnetic therapy increases energy, relaxes tense muscles, relieves musculoskeletal and other discomforts, reduces stress, and subtly accelerates the body's own natural healing process. It does this by improving circulation, breaking down scartissue, mobilizing calcium, and blocking the pain response. With your help we can reach more people and let them know about Magnetic Immortality Rings whether this product works or not.